The documents and information on this Internet Web Site ("this Site") are Copyrighted materials of Cherokee Financial, LLC, Red Bank, New Jersey USA. Reproduction or storage of materials retrieved from this site is subject to the U.S. Copyright Act of 1976, Title 17 U.S.C. You are hereby granted a license to copy the Site contents to the extent required for normal WWW viewing purposes. All other rights reserved. Content, layout, graphics and any special nomenclature, is copyright ©2005 Cherokee Financial, LLC, Red Bank, New Jersey. All rights reserved. The information contained on this website is offered for informational purposes only, is general in nature and is not offered as nor to be relied upon as legal advice. Nothing contained on this Web Site nor access thereto creates an attorney-client relationship or business relationship to Cherokee. Please feel free to send us e-mail on the response form. You should be aware that electronic communication and e-mail on the Internet is not secure and may not be privileged or confidential. The transmission of an e-mail request or your filling out a response form does not create an attorney-client relationship or a business relationship. This site has links to other web sites and servers maintained by other businesses, organizations, and educational institutions. Cherokee does not guarantee the accuracy of any of this information. Cherokee is not a lender. We do not originate loans or mortgages. We do not refinance mortgages. Cherokee is a debt buyer. 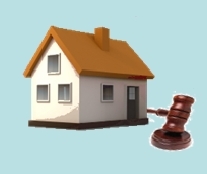 We purchase the servicing rights to existing mortgages and tax liens, as principals. We service our own portfolio exclusively. We do not provide services for others. INFORMATION AND ANY FORMS OR SOFTWARE AVAILABLE FOR DOWNLOAD ON THE SITE IS PROVIDED "AS IS", WITHOUT WARRANTY OF ANY KIND, EITHER EXPRESS OR IMPLIED, INCLUDING, BUT NOT LIMITED TO, THE IMPLIED WARRANTIES OF MERCHANTABILITY, FITNESS FOR A PARTICULAR PURPOSE, OR NON-INFRINGEMENT. Though we strive for accuracy, information on the Site may contain inadvertent technical inaccuracies or typographical errors. Information may be changed or updated without notice. Third party off site links may change. We may also make improvements and/or changes in the products, services or programs described in this information at any time without notice. The Site contains numerous hyperlinks to other third-party sites. Cherokee makes no representations whatsoever about any hyper linked third party sites which you may access through this one. These non-Cherokee sites are not created or maintained by Cherokee. They are independent from us, and we have no control over the content on those sites. Moreover, Cherokee does not endorse or accept any responsibility for the content, or the use, of such sites. While we have no information about the presence of such dangers on non- Cherokee sites, you should take steps to protect yourself and your systems from viruses, worms, Trojan horses, and other items of a destructive nature. Neither Cherokee Financial nor any of its subsidiaries or affiliate firms make any representation that materials on the Site or any links are appropriate or available for use in other locations. Those who choose to access this site from other locations do so on their own initiative and are responsible for compliance with local laws, if and to the extent local laws are applicable. These Terms and Conditions shall be governed by, construed and enforced in accordance with the laws of the State of New Jersey, as it is applied to agreements entered into and to be performed entirely within such State. Any action you, any third party brings to enforce these Terms and Conditions or, in connection with, any matters related to this site shall be brought only in either the State or Federal Courts located in the State of New Jersey, and you expressly consent to the jurisdiction of said courts. Use of Site and Content. This web site (the "Site") is owned and operated by Cherokee Financial, LLC, Red Bank,New Jersey. Please feel free to browse the Site; however, your access and use of the Site is subject to these terms and conditions ("Terms and Conditions") and all applicable laws. By accessing and browsing the Site, you accept, without limitation or qualification, the Terms and Conditions. If you do not agree with any of the below Terms and Conditions, do not use the Site. Some principals, employees or contractors of Cherokee Financial, LLC may also be licensed by the State of New Jersey as real estate professionals. If this is applicable, please be advised that none of these individuals will be acting as a real estate broker or advisor when they are doing business on behalf of Cherokee Financial, LLC.